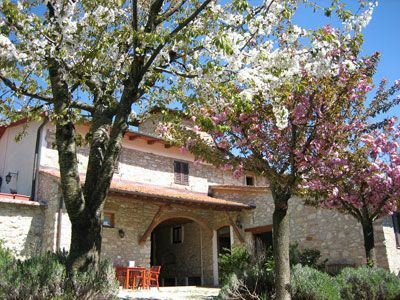 Podere Vignola is situated in a small and hidden valley in the heart of Tuscany, the Chianti area. It offers 5 wonderful apartments completely equipped with all comforts, ideal both in summer and winter. Every apartment has a direct access from the garden and has a veranda to dine outside. Podere Vignola is really close to Florence and its museums and shops and it's the perfect place for a quite and relaxing holiday. Podere Vignola is situated on the hills of the Chianti Rufina, between vineyards managed by the Frescobaldi family. Restaurant Mammamia in Florence discount of 10% for our guests, restaurant Giroarrosto 1.5 km from the farmhouse, supermarket 1.5 km, shops and outlet. Sieci, 1.5 km from the farmhouse.